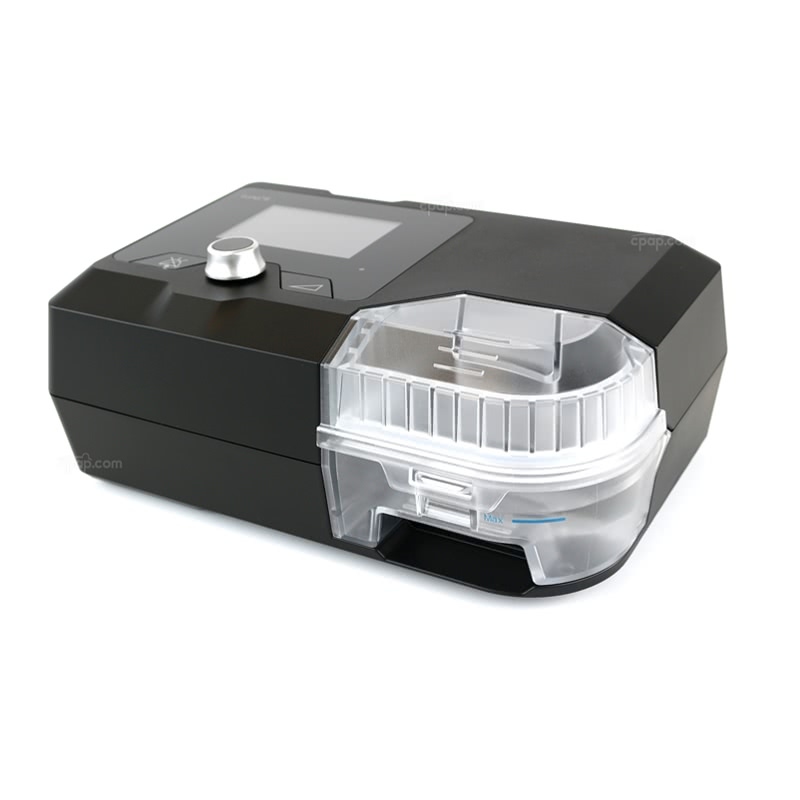 The Luna 2 Auto CPAP Machine from 3B Medical is the newest member of the Luna family of CPAP machines. If desired, it can share your data with your doctor using Wi-Fi or a cellular connection and gives you an easy way to track and monitor your vital sleep health data using a QR code for easy access. The Luna 2 helps keep a person comfortable at night by using smart, automatically adjusting therapy pressure, and features a backlit color LCD display, allowing for control of the Luna 2's most vital settings. 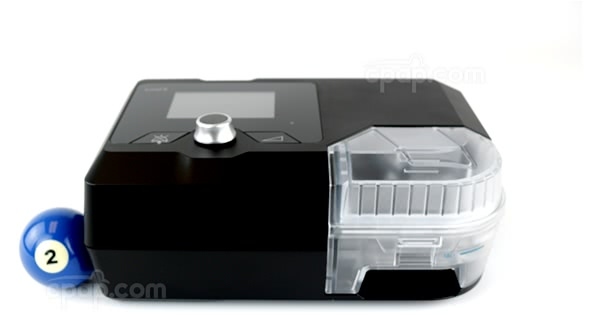 3% of AutoCPAP Machine product buyers choose this product. The Luna 2 APAP machine is the next generation in the Luna line of PAP therapy devices from 3B Medical, and has made many improvements over the Luna's original design. 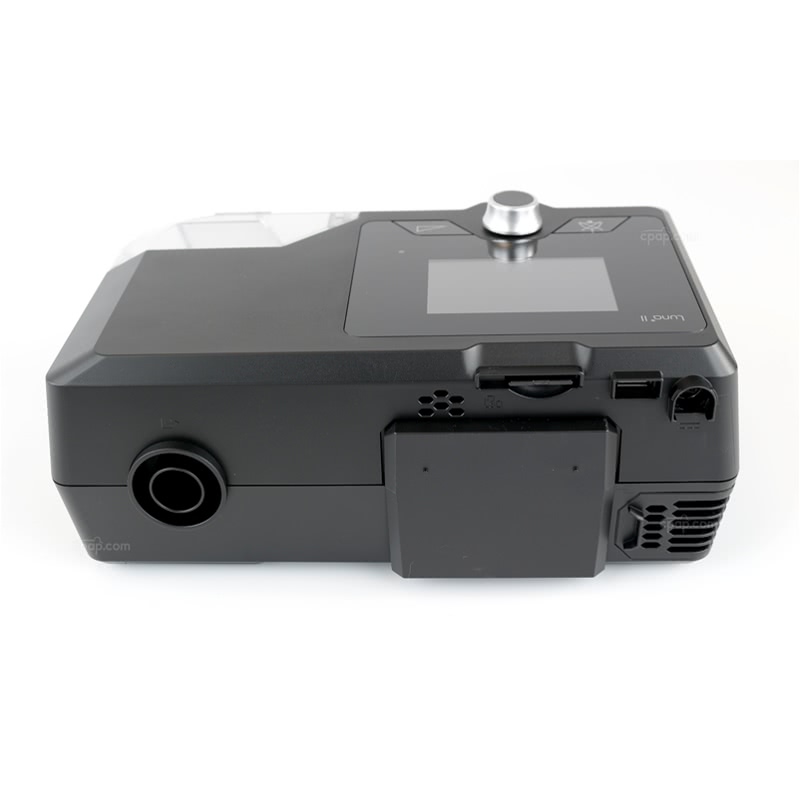 The newest model features a color LCD screen, allowing a person to easily see how therapy is progressing and has a built-in dual-chamber heated humidifier-- a nice plus for any sleep apnea machine. For those who would like to share their sleep data with their physician, the Luna 2 can do so over Wi-Fi or by using a cellular connection. If a Wi-Fi network is available, but a cellular signal is not, data sharing can still take place. Data sharing is optional, and the feature can be turned off. Get up-to-the-minute data about your sleep by using the backlit color LCD display, located on top of the machine. Navigate menus on the LCD display easily using an intuitive turning knob, and see how effective your previous night of therapy was. You'll get vital information about your sleep, without needing to do much extra work. 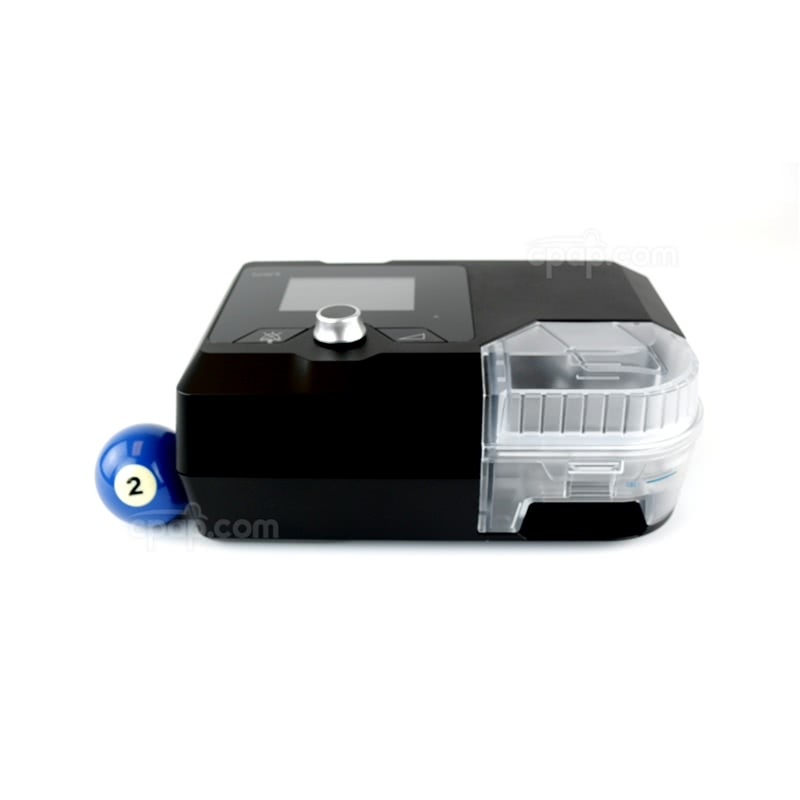 The dual-chamber heated humidifier is intended to provide the same level of comfort while making it easier to clean. With the Luna 2 APAP Machine, the humidifier comes included with the price, so there's no need to buy anything else to get the level of comfort you deserve. If you'd prefer to view your data on a phone, the Luna 2 makes it easy. Snap the available QR code and instantly get your data on your mobile device, and take it on-the-go! You'll need the 3B Luna QR app, available for Apple and Android. Unlike most CPAP and APAP machines having a max 45-minute ramp time, the Luna 2 APAP has a ramp for 60 minutes. This gives a person an extra 15 minutes to fall asleep before reaching target pressure. Automatic Pressure Adjustments - Fewer Trips to the Doctor! Automatic pressure adjustments mean fewer trips to the doctor! As your body and lifestyle change, you may need to change your therapy pressure. With automatically adjusting pressure, you'll need fewer sleep studies, and fewer trips to the doctor, as the machine can measure your breathing and set a new pressure automatically. This saves time, copays, and extra hassle! The Luna 2 features Reslex® Expiratory Pressure Relief, helping make it easier to exhale during therapy. This pressure relief feature makes it easy to breathe out, helping reduce bloating and cramping, while helping maintain a normal breathing sensation. The Luna 2 has an auto start feature, allowing the machine to turn on after detecting breathing, meaning you won't have to lean or stretch to turn the machine on. Also, the machine can alert the user if there's a mask leak, by making an audible sound. Both the auto start and leak alert features can be turned off. Available Mode: APAP. CPAP mode available if desired. It's important to keep the machine and humidifier clean. While the machine itself may not need much cleaning, except for the occasional wipe down, you may notice the humidifier get dirty quickly, especially if using tap water for the humidifier's water supply. Tap water has added minerals, fluoride, and impurities, and the quality can vary by locality. As the humidifier adds moisture to therapy air, mineral deposits are left behind, creating a hard, chalky film at the bottom of the tank. This is normal if using tap water. Mineral deposit buildup can be resolved entirely if using distilled water. Distilled water has all minerals and impurities removed, and it's not intended for drinking. Because it's free from minerals, the film doesn't form at the bottom of the tank. Using mild soapy water or vinegar, scrub the humidifier, removing all deposits. DO NOT use chemicals such as bleach or household cleaner, as these chemicals may cause poisoning. When the deposits have been completely removed, allow the tank to air dry. DO NOT attempt to transport the Luna 2 with water in the humidifier tank. The humidifier tank is not sealed and can cause damage or loss to the device by spilling water. The AC power settings on this machine allow it to accept power input from US and International outlets, however, be aware you will need World Traveler Power Adapter Plugs In order to make it work with international outlets. Every night your machine will generate a QR code. This code will appear on the Luna's display and when scanned with the 3B Luna QR App (available for both Apple and Android), it will generate a report about the previous night of sleep. You can view it on your phone. Open the App Store App on your iPhone, or open the Google Play Store App for your Android. Search for "3B Luna QR", and locate the result with the name "3B Luna QR" and download. Once downloaded, open it, and scan the QR code. Tobacco smoke may cause tar build-up within the device, leading to damage or loss of the device. The device is not suitable for high humidity environments (such as a sauna). Please make sure no water enters the device. DO NOT use the Luna 2 around electromagnetic devices, including CT scanners. The Luna 2 Auto will operate on voltages between 100 - 240V AC, meaning it will work with US and International outlets. It will be necessary to buy World Traveler Power Adapter Plugs in order to connect to foreign outlets. The Freedom Travel Battery can be used to power the Luna, even while away from an outlet, provided you use a 150 Watt Sine Wave Inverter to convert the battery power into alternating current. 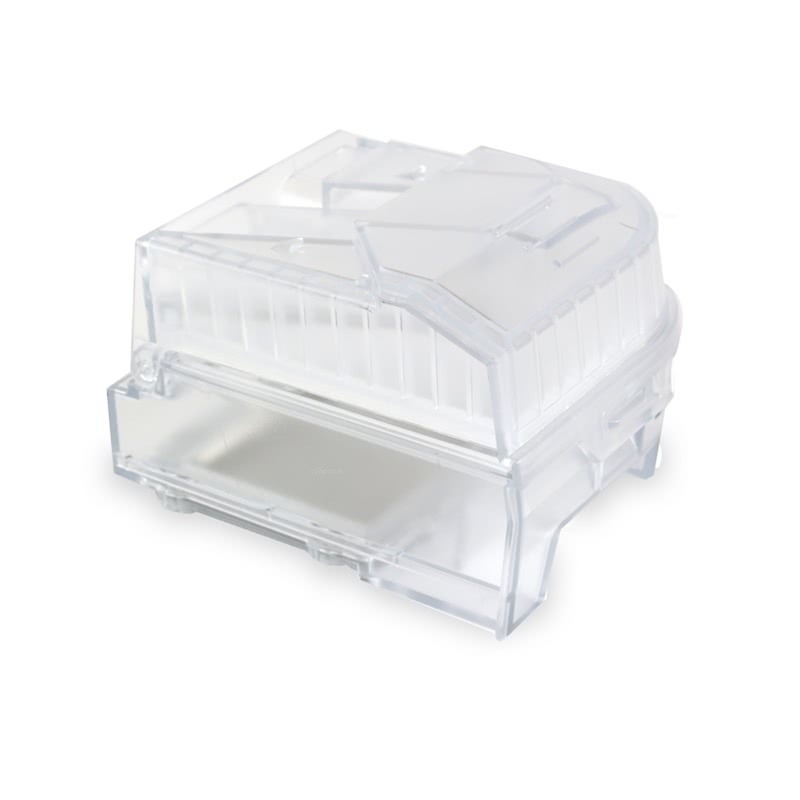 The Freedom Travel Battery is FAA approved, meaning it can even be used in-flight! Keep in mind, the sine wave inverter will drain the battery faster than it would otherwise, and run times may be lower than expected.